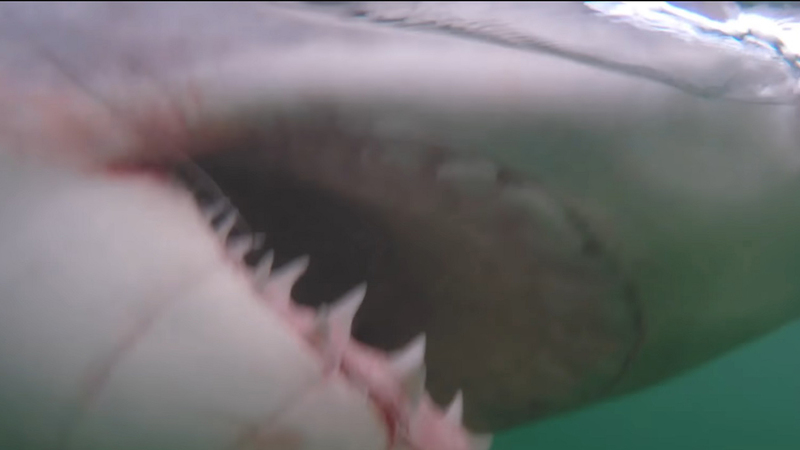 HILTON HEAD (WTVD) -- The Outcast Sport Fishing group out of South Carolina received more than they bargained for when a great white shark took a tiny bite out of their boat. The crew released their 5th great white of the winter off Hilton Head. Aside from the shark's nip at the boat, the team says the day went swimmingly.